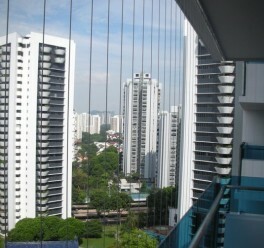 Window grilles are as commonplace in residential homes here as air-con compressors sitting on balconies. They are mainly for safety, to keep children from climbing out of the windows. Yet some private estates have not allowed grilles to be installed. This is despite the Building and Construction Authority (BCA) reminding management corporation strata titles (MCSTs) in 2015 that home owners should not be stopped from installing grilles to prevent harm to children. But it may become the law soon, if a proposed amendment to the Building Maintenance and Strata Management Act, tabled last Tuesday, is passed in Parliament. The BCA told The Straits Times that there have been cases where apartment owners had not been allowed to install safety grilles because the management corporations (MCs) "deemed that it would affect the appearance of the building in the development". 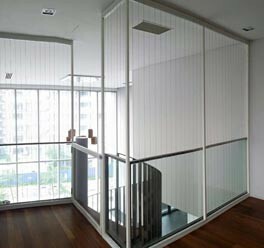 Mr Roger Seow, 46, who did not want to take any chances, has spent $1,700 to have stainless steel cables, or invisible grilles, installed before he and his family move into their new apartment at The Vales executive condominium in Sengkang in two months' time. His estate allows the grilles but looks at their designs. (Home owners will still have to) ensure that any such safety equipment installed does not mar the appearance of the building. Developers and MCSTs are thus encouraged to provide design guidelines for the installation of safety equipment so that purchasers and subsidiary proprietors can adopt them to maintain a certain uniformity in appearance. THE BUILDING AND CONSTRUCTION AUTHORITY, on what home owners still have to do, even after the proposed amendment becomes law. 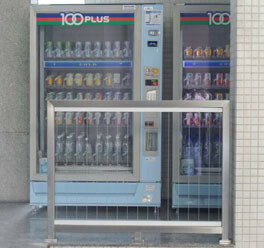 "It's to prevent my two-year-old from falling out," said Mr Seow, who works in sales. "My son is very active. He likes to climb... It's better to be safe than sorry." The father of two is one of many apartment owners cheering last week's announcement that MCs may no longer be able to prevent residents from having window grilles installed. 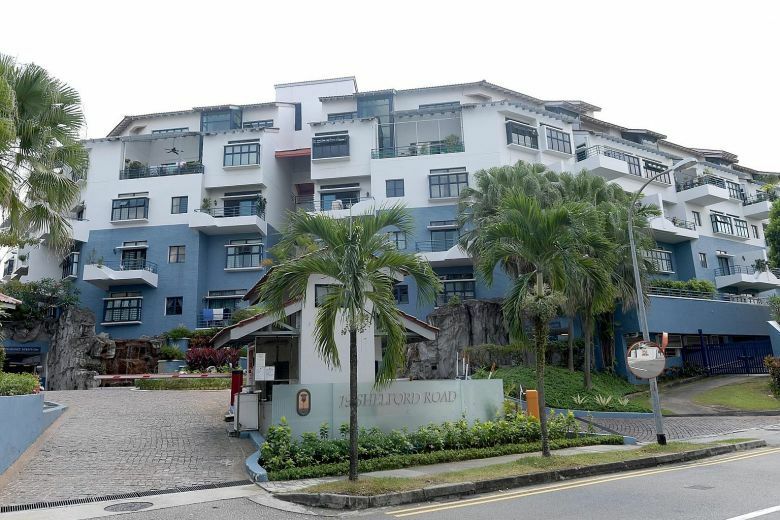 Mr Eugene Lim, key executive officer at ERA Realty, said it will be a good thing. "Grilles do not have an impact on the value of the house. What's important is whether the condo is well-maintained." 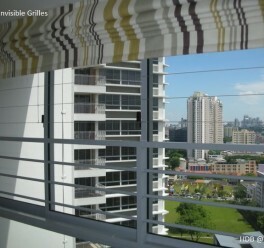 Besides, apartment owners "install grilles internally, (and) these are not permanent structures". Engineered & Manufactured to the highest standards. Assuring top quality Invisys products. Providing excellent technical and customer service. INVISYS Singapore has built an unparalleled reputation for invisible grilles which offer better visibility without compromising safety and security concerns. These are available for both your home and business premises.